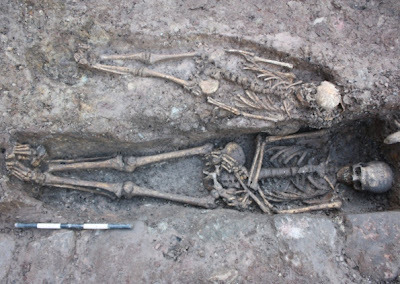 Mysterious bones found under a school could belong to a medieval warrior who died in battle. Archaeologists believe the skeleton could belong to a soldier who fell during the Battle of Lewes in 1264. Now the ancient remains have been sent to experts at the University of York who will attempt to solve the puzzle. 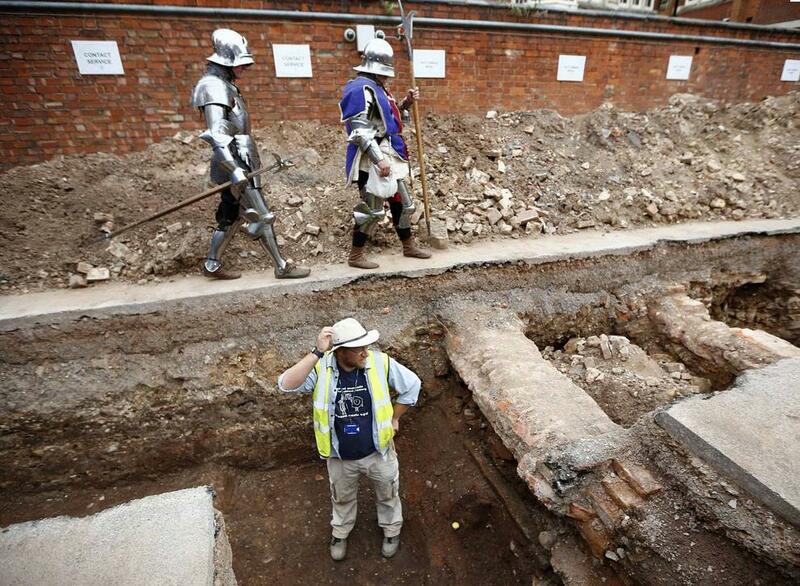 Archaeologists who unearthed the skeleton of England's King Richard III under a municipal parking lot say they want to dig up a 600-year-old stone coffin found nearby. 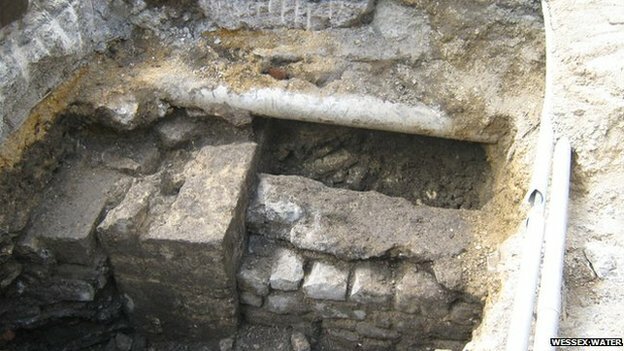 University of Leicester scientists say they hope to learn more about the medieval Church of the Grey Friars, where Richard was unceremoniously buried after he was killed at the Battle of Bosworth Field in 1485. 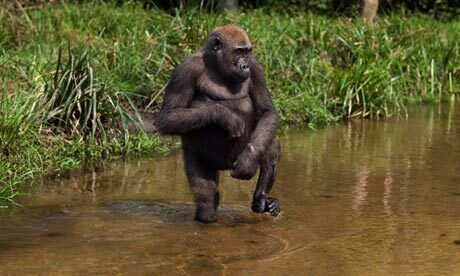 In February scientists from the university announced that remains found on the site were "beyond reasonable doubt" those of the king. Archaeology often has a lot to do with politics - the current argument between Germany and Turkey is a prime example. Hermann Parzinger, head of the Prussian Cultural Heritage Foundation, last December accused Turkey of displaying "almost chauvinistic behavior." In reply, the Turkish culture minister Ömer Celik told German news magazine "Der Spiegel" that he demanded an apology, and he asked for five ancient objects to be returned that are currently shown in museums in Berlin. He claims they were taken out of Turkey illegally. Parzinger rejects any accusations of illegality for three of these objects: In December 2012, he said that the torso of the Fisherman of Aphrodisias, the sarcophagus from the Haci Ibrahim Veli tomb and a 13th-century prayer niche were all acquired legally. But "legal" is a fluid concept in the world of archaeology. The export of ancient treasures from the Ottoman Empire has been prohibited by law since 1884. 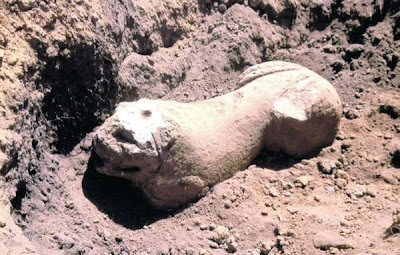 At the same time though, it wasn't unusual to share the treasures discovered in excavations with teams from abroad. Special permission was often given to take objects out of the country, and there was a flourishing black market. The issue is often less a matter of legality than of morality. A CITY car park has been hailed a “real treasure trove of archaeology” after seven more skeletons were unearthed from the grave of a medieval knight. Archaeologists working on the site now believe they have uncovered the remains of a family crypt having found bones from three fully grown adults, four infants and a skull. 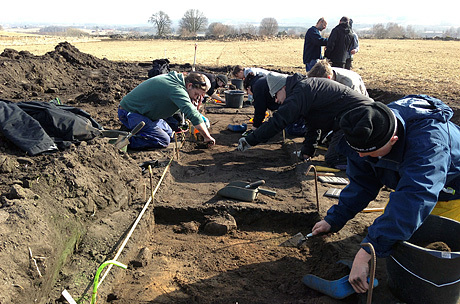 The exciting discovery comes one month after experts ­excavated the burial site of a medieval knight – affectionately christened Sir Eck – within the grounds of the new Edinburgh Centre for Carbon Innovation (ECCI) at High School Yards, off Infirmary Street. Carvings of the Calvary Cross on an elaborate sandstone tomb and an ornate sword found beside the remains led archaeologists to believe it was the burial plot of a high-status individual such as a knight or nobleman. 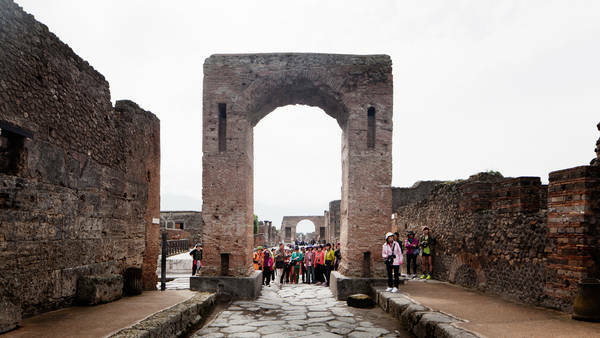 Pompeii Falling From Grace: Pompeii’s ruins are a Unesco World Heritage site, but despite money from the European Union, the Italian government is struggling to maintain them. POMPEII, Italy — Destroyed by the eruption of Mount Vesuvius in A.D. 79, Pompeii survived excavation starting in the 18th century and has stoically borne the wear and tear of millions of modern-day tourists. But now, its deep-hued frescoes, brick walls and elegant tile mosaics appear to be at risk from an even greater threat: the bureaucracy of the Italian state. 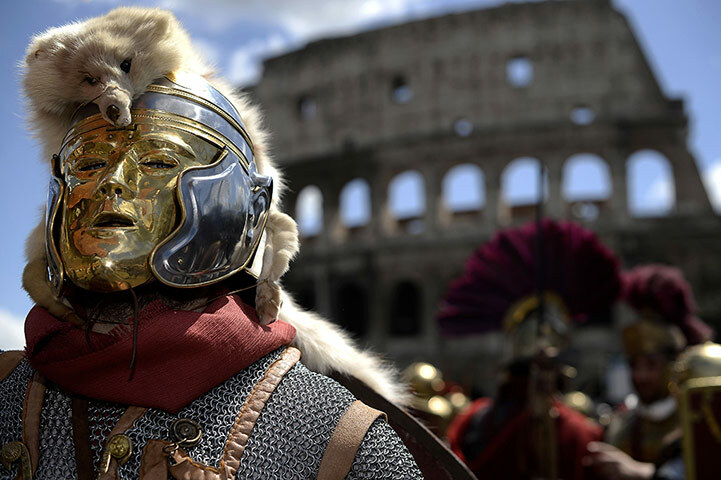 In recent years, collapses at the site have alarmed conservationists, who warn that this ancient Roman city is dangerously exposed to the elements — and is poorly served by the red tape, the lack of strategic planning and the limited personnel of the site’s troubled management. 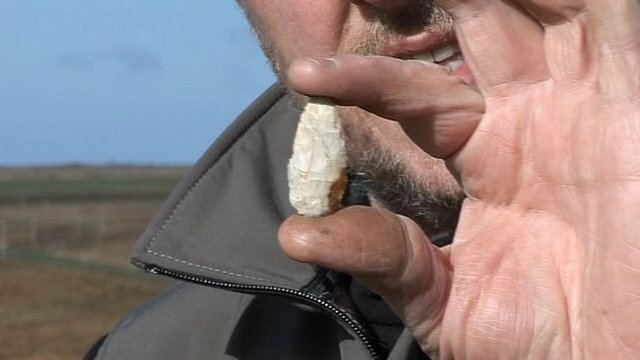 More than 300 people have signed a petition for a history trail on the site of a dig which found evidence of 9,000 years of human habitation. Among the discoveries made by archaeologists west of Didcot in Oxfordshire was a rare and complete Neolithic bowl from about 3,600 BC. The Didcot Dogmile group wants the sites of finds at the Great Western Park housing estate marked. Karen Waggott said she hoped a trail would protect remaining archaeology. 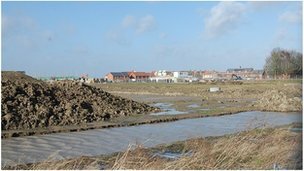 "The 'feel' of the walk should reflect the site's archaeological and agricultural heritage," she explained. Combatants are squaring up to do battle over the fate of a Yorkshire field more than 1,000 years after they say an earlier battle was fought there that helped to change the course of British history. Rival groups have issued a call to arms over the future of what some historians claim is the true site of the "forgotten" Battle of Fulford in September 1066. Local historians are fighting a rearguard action over developers' plans to build 600 homes on a field near York which they say is the site of the historic battle. The Battle of Fulford is where an invading Viking army defeated an Anglo-Saxon force led by the northern earls, Edwin and Morcar. Historians say the battle is important because the defeat forced the Anglo-Saxon king, Harold Godwinson, to march his army north to fight and defeat the invaders at the Battle of Stamford Bridge five days later. Although victorious, Harold's forces suffered losses at Stamford Bridge and were exhausted after the march, and the campaign in the north diverted the king's attention away from the south coast, where William of Normandy launched his invasion. Watch an excerpt from "The King's Skeleton: Richard III Revealed." The tale surrounding the discovery of King Richard III's skeleton beneath an English parking lot is about much more than a pile of 528-year-old bones — all you have to do is look at the face of Philippa Langley as she breaks down during an archaeological autopsy. "I don't see bones on that table," she says, during an emotional scene in a new documentary about the king's remains. "I see the man." Langley, a 50-year-old Scottish screenwriter, plays almost as big a role as the much-maligned monarch in "The King's Skeleton: Richard III Revealed." The show airs Sunday night on the Smithsonian Channel in the U.S., after racking up royal ratings on British TV. It was Langley who enlisted the Richard III Society to help jump-start the excavation, and she serves as the on-screen witness for many of the key twists in the excavation. “The King in the Car Park: The Search for the Grave of Richard III"
Did King Richard III Undergo Painful Scoliosis Treatment? Discover how you can start making money promoting cost per lead (CPA) offers online. Get paid weekly. Free report reveals all! The remains of King Richard III, showing a curved spine and signs of battle trauma. King Richard III may not have been a hunchback as portrayed by Shakespeare, but he did suffer from the spine-curving condition scoliosis, and he may have undergone painful medical treatments to straighten it out, scientists report today (April 19). 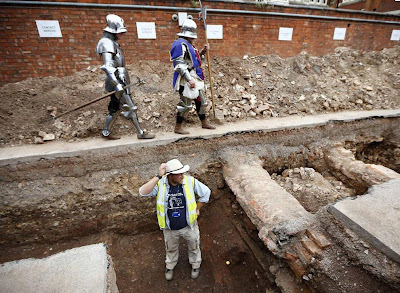 Archaeologists announced in February that bones excavated from underneath a parking lot in Leicester, England, belonged to the medieval king. Since this confirmation, examination has continued on the bones and historical records, which have suggested the king was a control freak who had a friendly face.